Its that time again. Tractor rides, turnovers, slushies, apples, and blueberries. We open for the season tomorrow, August 1 and will be open every day after that for the next three months. Open 10 a.m. to 7 p.m. through the end of September. Grab the kids, that crabby spouse and come on out and enjoy our bit of heaven. This weekend features blueberries. Great big, tasty ones from Michigan. Bluecrop variety— the best there is. Get them by the pound or by the 10 pound box. Either way you’re in for a treat. Blueberries freeze extremely well, allowing you to enjoy them all winter long— great in cereal, on yogurt or just plain. $4/pound or $34 for a 10 lb box. We also have Georgia peaches available. Great big, juicy and tasty. These peaches actually taste like peaches— imagine that! $2.50/pound or $42 for a 25 pound box. On the treat side, on Saturday and Sunday you can add to your blueberry fix with a slab of Bevo’s Blueberry Buckle, warm and yummy. Or, go with a hot turnover with ice cream. Or a couple of cider donuts. Or heck, its been a long dry spell, do one of each! Apple cider slushies will be flowing as well — plenty to choose from. On the frozen side, we have apple and cherry turnovers available in 8 packs as well as apple, cherry and blueberry pies. This weekend looks to be GREAT weather. Come by and get your first tractor ride of the season or enjoy a stroll through the orchard. The crop looks exceptional this year. We dodged several hail storms, came within a degree of a major freeze and withstood straight line winds. Through it all, the apples survived and thrived and we have a great looking crop nice sized fruit with good color and flavor. Knock on wood. While the crop looks great, most varieties are at least a week later than normal due to the cooler temperatures this summer. Pristine— in the words of Chug Wilson, “the first good eating apple of the season”. Pristine also make very good pies, for those of you so inclined. 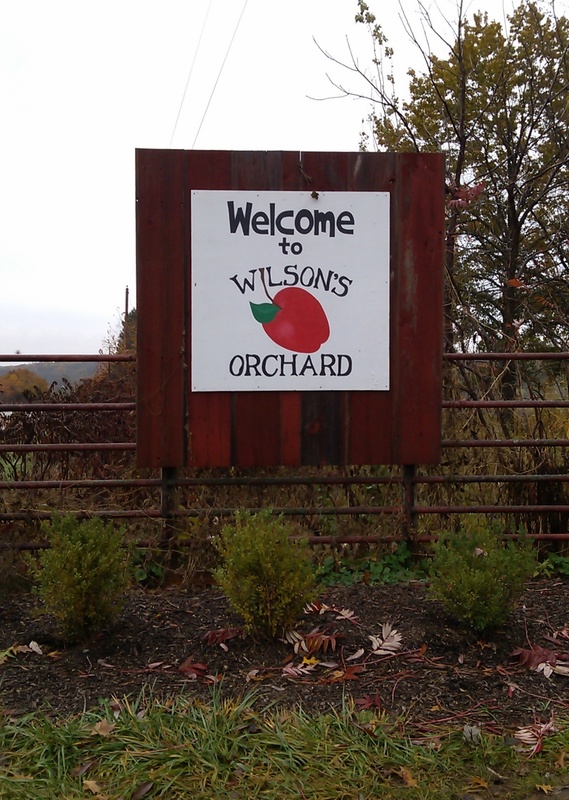 This entry was posted in Local Food and tagged local food, Wilson's Orchard, worklife. Bookmark the permalink.